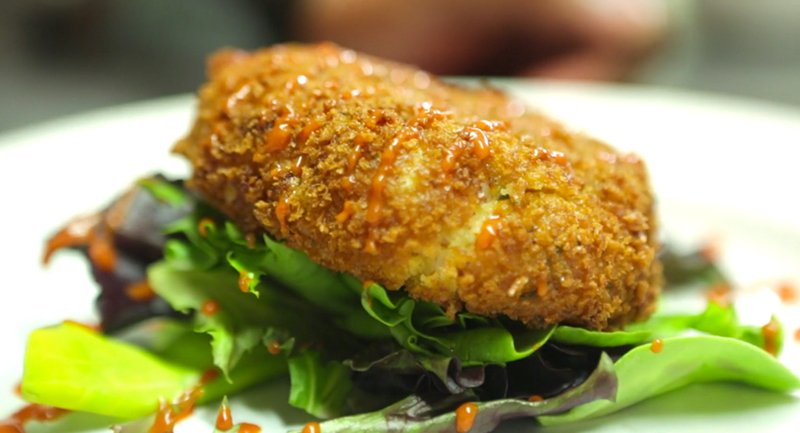 Created by Chef Matt Pace and featured in A Taste of New York, this super satisfying shrimp cake has definitely become one of our go-to recipes. Try it for yourself, and if you want more heat, you can always indulge and throw in some more Kashmiri Coconut Hot Sauce. Combine mayo, crème fraîche, mustard, Worcestershire, Kashmiri Coconut hot sauce, mint, lime juice, and seasoning in medium sized bowl and whisk until fully mixed. Taste mixture to make sure the taste/heat is where you want it and adjust if need be. Once you reach desired flavor, add in your shrimp, eggs, and panko and combine until ingredients are fully blended. On a baking sheet, form mixture into small patties, just smaller than a fist. When ready to cook, carefully place patties in deep fryer or skillet with vegetable or canola oil at 375 degrees and cook until shrimp is fully cooked and bread crumbs are golden brown. Once cooked, remove patties from oil and place on wire rack or paper towels to drain any excess oil. Drizzle Kashmiri Coconut on top of your shrimp cake, and enjoy the fruits of your labor. We’d love to see what you’re combining your hot sauces with, and what you create in your own kitchen! Remember to snap a shot and use the #tattoohotsauces hashtag or tag us @tattoohotsauces to make sure we see your creations. Hot wing fanatic or not, these Himalayan Sweet and Spicy Hot Wings have pretty much become THE game night wings around our place. 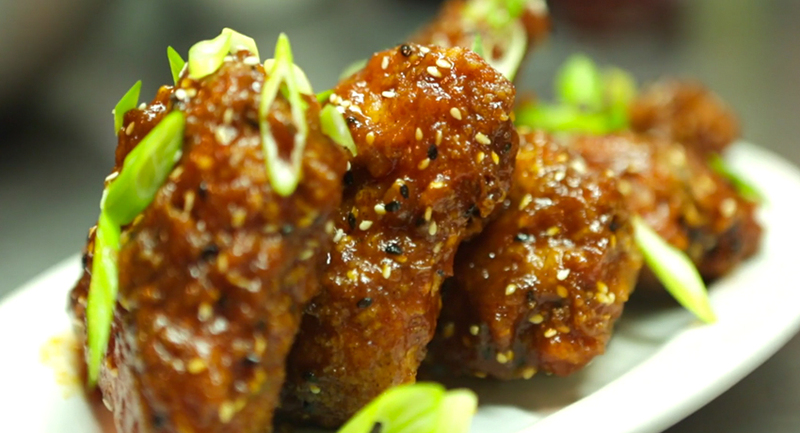 Debuting on A Taste of New York and created by Chef Matt Pace, the flavor fusion of these sweet and spicy hot wings is SO good and we are excited to share it with you. Try it for yourself, and if you want more heat, you can always indulge and throw in as much Himalayan Chile hot sauce as you desire. For your sauce, combine all sauce ingredients except the sesame seeds into medium saucepan and cook on medium heat until onions and garlic are cooked down and soft. Remove from heat and pour mixture into blender and purée until smooth. Pour sauce into medium bowl and add your sesame seeds, set aside. For your wings, combine all dry ingredients into large bowl or container and whisk ingredients together until mixed thoroughly. Beat eggs in separate bowl and set aside. Take wings and cover with dry mix, then dip into eggs, then back into dry mix, making sure wings are fully and well coated. Fry wings in 375 degree canola or peanut oil until golden brown. When wings are done, toss finished wings in sauce until fully coated and finish with diced green onion. Pour some Himalayan Chile hot sauce on your wings, sit back and enjoy.